Tag Archive | "Delray Beach Open"
DELRAY BEACH, FL: The Delray Beach International Tennis Championships (ITC) has engaged in a partnership with The Venetian® Las Vegas, changing the tournament’s name to the Delray Beach Open by The Venetian® Las Vegas to reflect the luxury hotel company’s new affiliation as presenting sponsor. To usher in the new era, future Hall of Famer Andy Roddick will make his ATP Champions Tour debut in the city where he played his first professional tournament as an 18-year-old. Tournament founder Mark Baron, who also serves as the tournament director of the 22-year-old event, made the announcements Saturday. The tennis event’s weekly attendance has doubled from 30,000 to 60,000 during its first 15 years in Delray Beach thanks to improved player fields and the addition of an ATP Champions Tour tournament in 2010 that has created the world’s only combined ATP World Tour and ATP Champions Tour event. 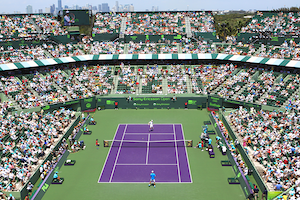 In 2014, the Delray Beach Open by The Venetian’s reach will grow to 40+ hours of live domestic HD TV coverage and 52 hours of live international coverage over seven days. The Venetian Las Vegas, one of the world’s most luxurious resort and convention destinations, is the largest property in the country to receive AAA’s Five Diamond and the coveted Forbes Travel Guide Four Star awards. Recreating Venice’s legendary landmarks, the LEED® EB Gold-certified resort located in the heart of the Las Vegas strip features an indoor streetscape complete with gondolas and singing gondoliers, a premier spa club, world-class gaming and a wide variety of entertainment and showroom headliners. The Delray Beach Open by The Venetian will move one week earlier on the 2014 ATP calendar to February 14 – 23, beginning on Valentine’s Day and the President’s Day weekend. The 10-day event is also positioned desirably for Palm Beach County sports fans between two PGA Tour golf events. There are two ways fans can immediately celebrate the exciting tournament news. First, the Delray Beach Open by The Venetian has instituted the biggest price rollback in its 22-year history. And, for a limited time during the upcoming US Open tennis spectacle, an additional 20 percent discount can be enjoyed on all individual tickets to the Delray Beach Open by The Venetian. That discount applies to reserved seats, box seats, and for the first time ever, covered Veranda seats and on-court Best Seats in the House. The special offer is available Sunday, August 25 at 9:00 am through Tuesday, September 10 at 11:59 pm. Roddick will take a break from his current job as weekday host for Fox Sports Live to return to his tennis roots in Delray Beach, this time on the ATP Champions Tour. The 2003 US Open champion and former world No. 1 will make his debut on opening night, Friday, Feb. 14 at 8:30 pm and will play a second match on Saturday, Feb. 15, also at 8:30 pm. The ATP Champions Tour final will be played Sunday, Feb. 16. Roddick finished in the ATP’s Top 10 for nine consecutive years (2002 – 2010), was ranked No. 1 in 2003 and won 32 career ATP titles. 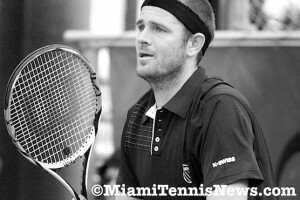 The former Boca Raton resident played in five Delray Beach ATP events, winning a doubles title with Jan-Michael Gambill in 2001, reaching the singles final against Davide Sanguinetti in 2002 and also reaching the singles quarterfinals in 2012. To take advantage of the price rollback and tickets discounted 20 percent during the US Open, fans can go to www.yellowtennisball.com, call 561-330-6000 or visit the Delray Beach event’s box office at 30 NW 1st Avenue, Delray Beach, FL. 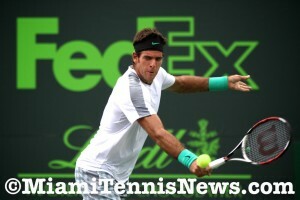 All event information is on the Delray Beach Open by The Venetian website at www.YellowTennisBall.com.